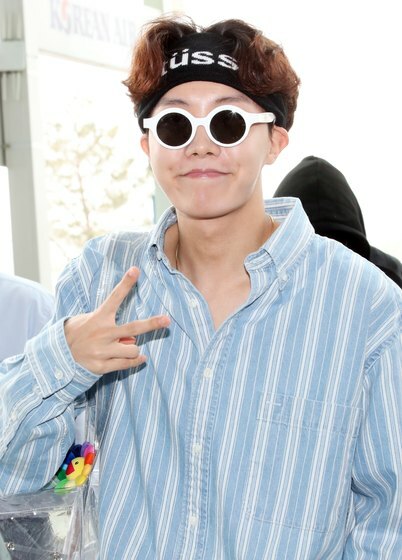 PHOTOS: J-HOPE Currently Is So Into "This" Fashion! Round sunglasses, and cute hair band, there's someone who can pull off this challenging outfit. 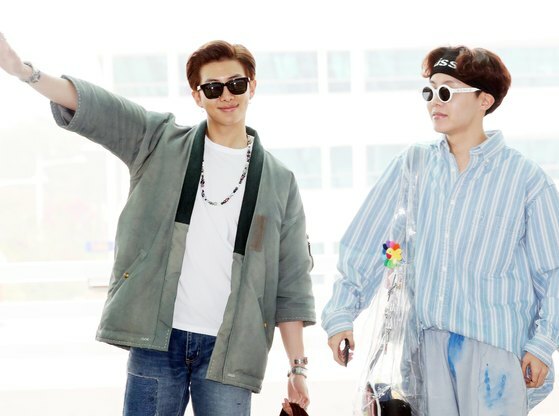 It's BTS' J-HOPE. 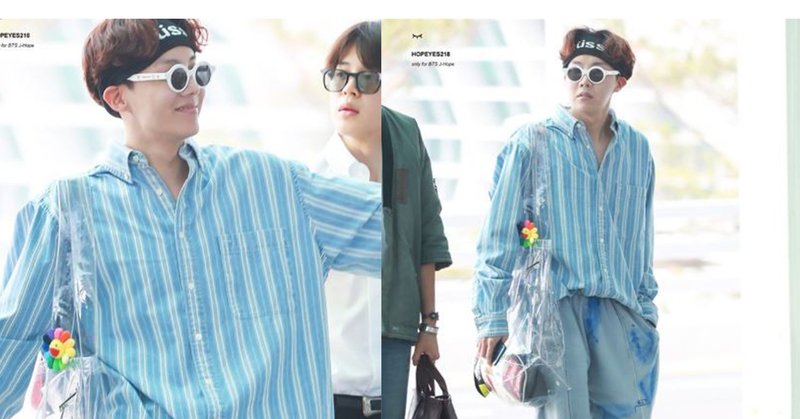 J-HOPE these days was frequently spotted trying out "ggurugi" fashion (a young boy fashion). 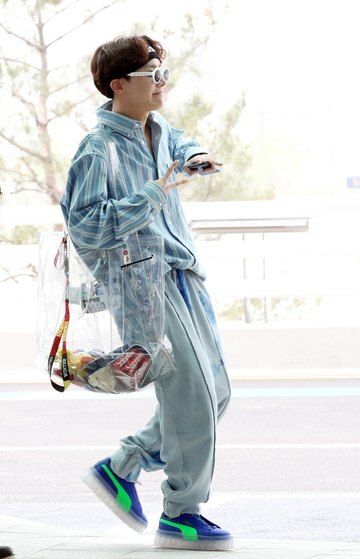 He wears fashion items in varieties: wide bagged trousers, a showy patterned jacket, checked vest, and a transparent bag. 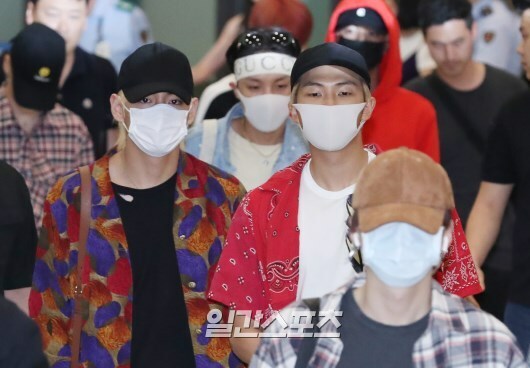 When they departed to the US to attend Billboard Music Awards, he put a sunflower doll-like item in his transparent bag.